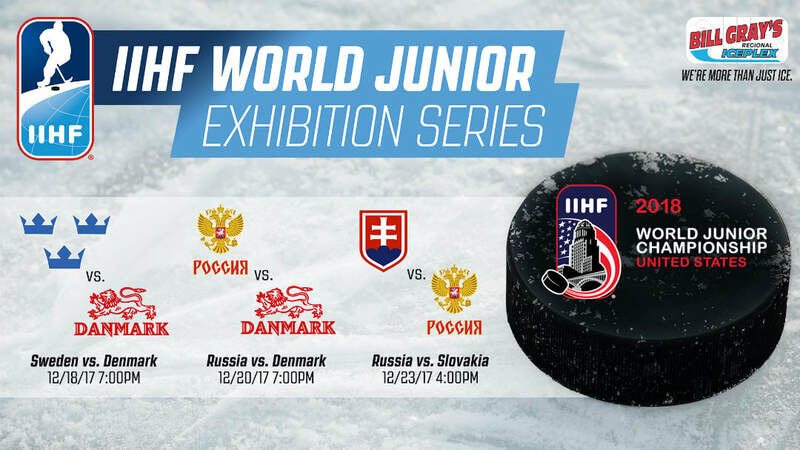 The 2018 IIHF World Junior Championships take place in Buffalo N.Y. from December 26th through January 5th. 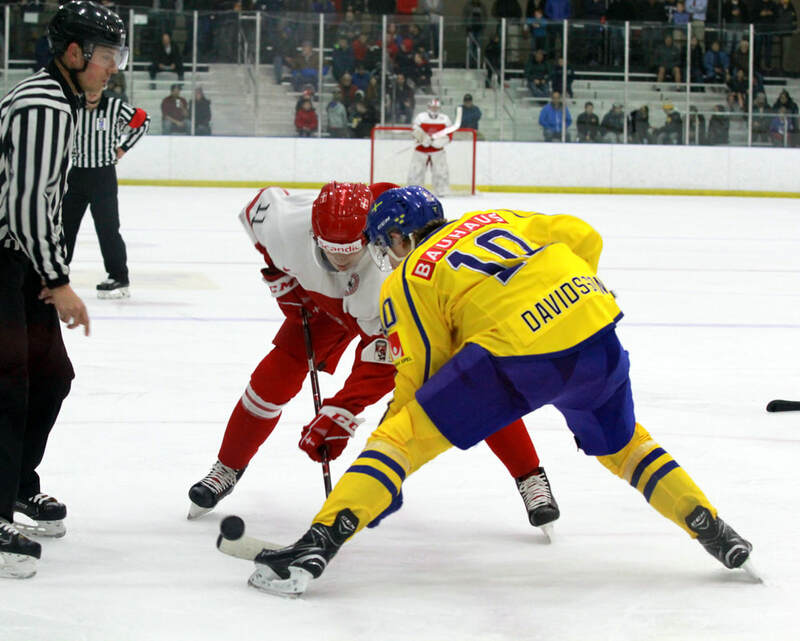 Bill Gray's Regional Iceplex will be hosting the teams from Russia, Denmark and Slovakia as they host their pre-event team camps. 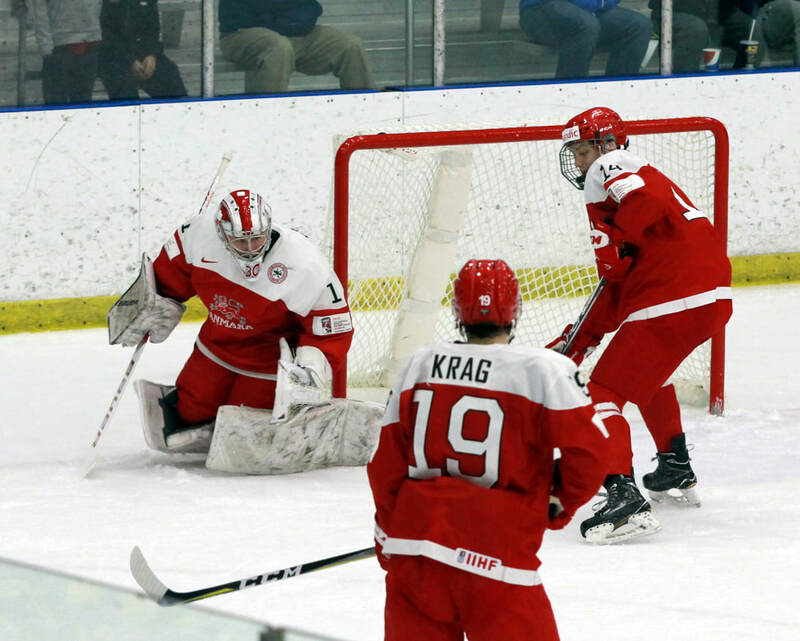 The Iceplex will also be hosting three exhibition games, which lead up to the Championship tournament in Buffalo. All games take place in Lattimore Arena at Bill Gray's Regional Iceplex. General Admission tickets are available for $5.00 per ticket. Advance online tickets are available for purchase until 11:30pm the night before each game. On game days, tickets are then available for purchase at the door and are first come, first serve.